The practice impermissibly disclosed the ePHI by providing unauthorized individual access to the ePHI for a purpose not permitted by the Privacy Rule. Enter into and comply with a corrective action plan. 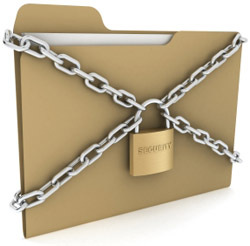 HIPAA protects Protected Healthcare Information (“PHI”) and imposes certain privacy obligations on “covered entities.” It attempts to balance both confidentiality and need for communication between providers. Too much protection could gum up the works and defeat the transmissibility aspect of healthcare reform. “Protected Health Information” is essentially any information (in any form) that is created or received by a healthcare provider, health plan, etc. which relates to a person’s pasts, present or future health care or the payment therefore. A “covered entity” is a healthcare provider, health plan or healthcare clearinghouse. A “business associate” is an individual or entity that performs, on behalf of a covered entity any function or activity involving the use or disclosure of PHI and which is not a member of the covered entity’s workforce. Requires breaches involving more than 500 people to be reported to HHS and the media. Jacqueline Bain of the Florida Healthcare Law Firm will be presenting a lunch n’ learn webinar on “HIPAA For Group Practices” on March 19, from 12-1pm EST. This entry was posted in Compliance Plans, Group Practice Concerns, HIPAA, HIPAA, Medical Records, Medical Staff Matters, Physician Issues, Risk Management Program Development and tagged business associate agreement, healthcare reform, HIPAA, HIPAA breach, HIPAA violation, PHI, protected health information, US Department of Health and Human Services. Bookmark the permalink.